Musicians have to practise. Repetitive, committed and quality practise trains the procedural memory (what musicians and sportspeople call “muscle memory”) and leads to a deeper knowledge and understanding of the motor and aural components of the music. Practising in this way leads to mastery and enables us to go deeply into our music so that we become intimate with its myriad details, large and small. Meanwhile, setting ourselves high standards is fundamental to our improvement and continued growth as musicians. As musicians, if we carry the unrealistic ideal of perfectionism into our practise rooms we can easily grow frustrated with our playing if it is not note-perfect. This can lead to perpetual feelings of dissatisfaction, resentment and anxiety about practising and performing. It can put undue pressure on the musician, leading to issues with self-esteem, performance anxiety, and even chronic injury, such as RSI and tendonitis. And the striving for this unrealistic goal can destroy our love of the music we play and rob us of joy, expression, communication and freedom in our music making. In short, it can lead us to forget why we make music. The “practise makes perfect“, and alongside it the “practise until you never make a mistake” mantras encourage unhealthy working habits which lead to mindless, mechanical practising, which in turn can cause us to overlook crucial details in the music. Perfectionism filters into the subconscious and creates a pervasive, hard-to-break personality style, with an unhealthily negative outlook. It prevents us from engaging in challenging experiences and reduces playfulness, creativity, innovation, spontaneity and the assimilation of knowledge – all pretty crucial activities for a musician. If you’re always focused on your own “perfect” performance, you can’t focus on learning a task. Because by making mistakes we learn. 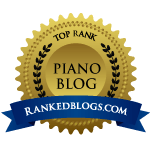 Previous postShould you ever put your piano in storage? Lots of wisdom here. Hope it’s OK to share with a few of my adult students. thanks for this Frances. Its an interesting subject.Something you don’t mention which occurs to me is this – much perfectionism is suffered by the overly-compliant, who, if enabled to see more of themselves in the music they are so ambitious about, can blossom : enablement as opposed to instruction. And I have no idea what ‘excellence’ is. It has become one of those important words, and ‘success’ is another, that in our competitive, striving society has become meaningless through over-use. All musicians make mistakes often; reinforcing the bad habits of too little time to make good habits when the moment is supreme. I recall that sweet downward run at the end of the introduction to “Bridge Over Troubled Waters.” I fingered that arpeggio in the screwiest way from the beginning and it wasn’t properly fluent. Later, when I made time to get it right, the solution was not only easier to play but the outcome was satisfyingly familiar.